DIFUTURE is funded by the German Federal Ministry of Education and Research under 01ZZ1603[A-D] and 01ZZ1804[A-H]. 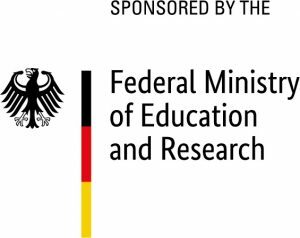 DIFUTURE is one of the four consortia selected by the German Ministry of Education and Research for funding during the development and networking phase in the Medical Informatics Initiative. DIFUTURE aims at providing data of comprehensive depth and breadth to physicians and to medical researchers. We will work on an acceleration of innovation, improved health care processes and decision support, resulting in tangible benefits for the patient. Data integration and data sharing will be essential to future medicine, but they will require a high level of data security. Privacy, security, and patient trust play a significant role in DIFUTURE; innovative approaches are pursued to ensure a very high level of security. The strengths of the informatics department of TU Munich will be an important pillar of this approach. DIFUTURE has been established by Technical University of Munich and its University Medical Center Rechts der Isar, Ludwigs-Maximilians-University Munich and Munich University Medical Center, Eberhard-Karls-University Tübingen and Tübingen University Medical Center, and Augsburg University. Networking partners are Saarland University and Saarland University Medical Center, and Regensburg University Medical Center. In order to achieve interoperability, a balance between industrial and open source solutions is sought, the latter including i2b2, tranSMART, and openBIS. DIFUTURE is strongly committed to international collaboration. Among its partners are ASCO CancerLinQ and the Dutch Techcenter for Life Sciences promoting the GO FAIR Initiative. DIFUTURE’s international orientation is reflected by its highly renowned Scientific Advisory Board with members from Harvard University Medical School, Vanderbilt University Medical School, Oxford University, and ETH Zurich.